Steel galvanized guardrail, coated with zinc for durability and maximum strength, are a highly effective highway safety solution. Attractive and economical safety barrier solutions, ideal for low speed roads, parks, driveways, parking lots and residential developments. 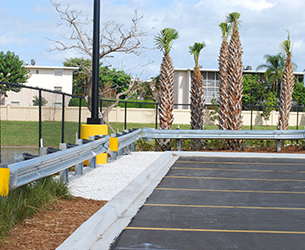 Railing and guardrail safety solutions reduce accidents in warehouses and parking lots. Safety railing systems and impact absorption attenuators are simple solutions to prevent light vehicle impact, falls and other work area hazards. Solutions for the prevention and control of soil and sediment erosion, essential to protect roads, landscaping and property. We offer a variety of safety components for export. From highway to industrial parks, we have the parts and materials you need. Safe and secure fences and gates sized and fabricated for property boundaries, pedestrian overpasses and trespass prevention. 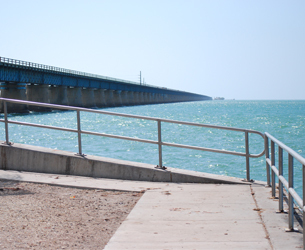 Family owned and operated since 1978, Sunshine Guardrail Corp. offers one of the largest inventories of new and recycled guardrail materials in the State of Florida. 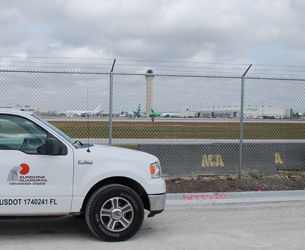 We are South Florida's destination for the materials and services you need to protect motorists, workers and property in your community. 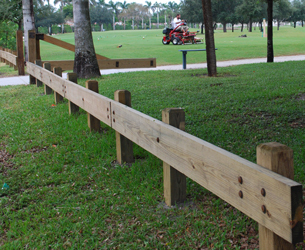 We provide quality safety materials and barriers for highways, roadways, warehouses, industrial plants and homeowners. 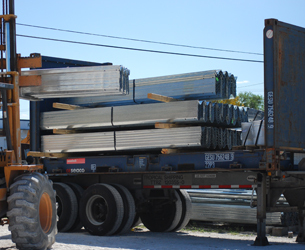 We carry a vast supply of new and used guardrails and other safety components and materials ready for export. 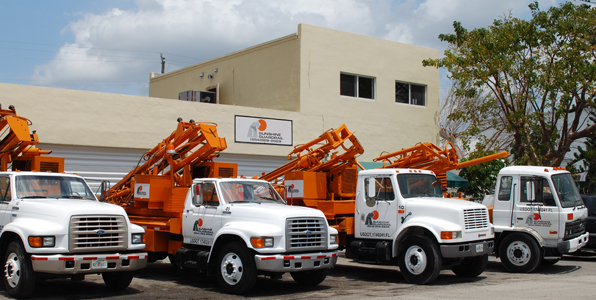 With decades of experience, we also provide professional installation and fabrication services. 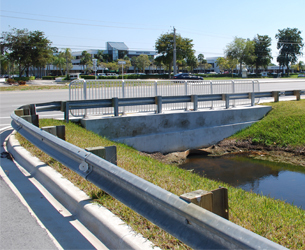 Whether you're a state entity planning to build a highway or a business owner looking to optimize the safety of your property, Sunshine Guardrail Corp. has everything you need! 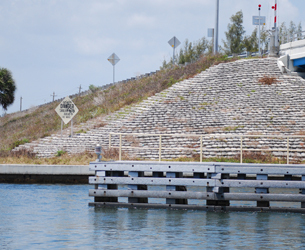 Find directions to Sunshine Guardrail below or contact us. Copyright © 2017 Sunshine Guardrail Corp.